This article was originally published in the North Island Gazette January 29, 2009. Arrival of the First Nations peoples onto Northern Vancouver Island may have occurred gradually in the pre-history period, with groups arriving via a possible land-bridge with Asia, in boat or by canoe across the Pacific, or possibly traveling from inland North America starting about 12,000 years ago. Contact between First Nations and foreigners in pre-history times would have likely included encounters with Chinese, Japanese, or Polynesian sailors who were carried offshore by tide and wind. Local stories from First Nations communities tell of strange people coming to visit in ships from across the sea. Some trade goods also made their way to this area in advance of active trading directly with outside peoples. These may have come from trading in the area of Alaska with the Russians, or through trade with First Nations to the South or East. One of the reasons that it took Europeans so long to explore the Northwest coast of North America was the difficulty of travelling the the area in ships. Predominant winds made sailing to the area difficult, especially when travelling North from South America. 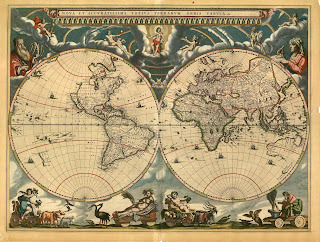 The Pacific Northwest was a blank on many maps of the world when the rest of the world's oceans and land masses had been mapped in detail. 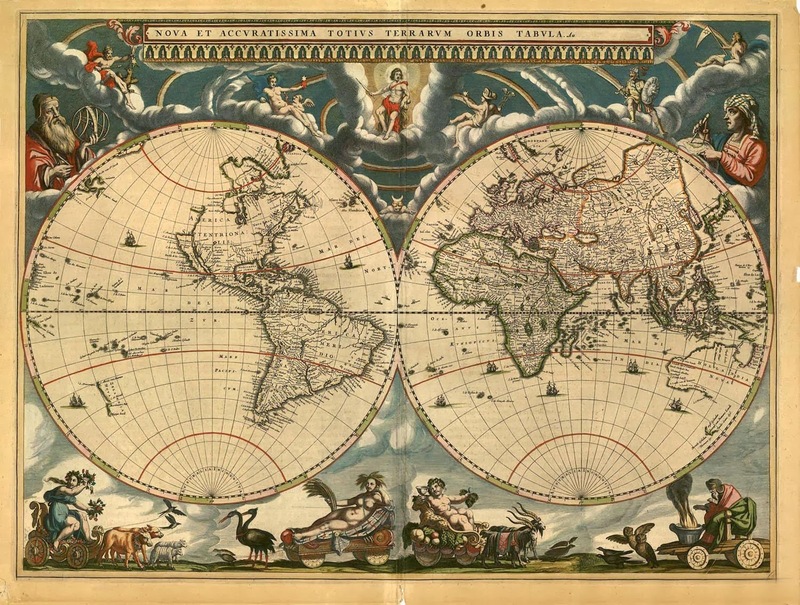 Map of the World from the 1600s, with a lack of detail relating to the Pacific Northwest. The earliest suggested documented outside contact with the First Nations peoples of Northern Vancouver Island could have happened as early as 1579, when Sir Francis Drake's expedition is thought by some to have traveled to what is now known as Vancouver Island. A great deal of mystery surrounds the actual places visited by Drake. There is some supposition that, as England was secretsly trying to locate the Northwest Passage at that time, they craved an advantage in trade and did not want to make publicly available information about their voyages of exploration. On Northern Vancouver Island, Drake Island and Pamphlet Cove (Drake's first mate) in Quatsino Sound are lasting reminders of these explorers, although we will likely never know if they actually visited Northern Vancouver Island. In 1592 it is believed that Juan de Fuca (actually a Greek named Emmanouil Fokas, but sailing for Spain), again searching for the mysterious Northwest passage, visited Southern Vancouver Island and discovered the existence of a significant Strait along the coast, which since has been named after him. Russians were taking an active role in trading in the area around Alaska by 1770, although there is no evidence that they traveled as far South as Vancouver Island. In 1774 Juan Perez, sailing under the flag of Spain, recorded sailing in the area of Vancouver Island, although he did not venture ashore. Only brief references were made in the journals of the ship's officers and crew to this encounter. Perez is believed to have traded with the First Nations in the area of Nootka. In 1775 Juan Francisco de la Bodega y Quadra, sailing under the Spanish flag, sailed to 58 degrees latitude (the Queen Charlotte Islands) in the schooner Sonora but was far offshore while passing Vancouver Island. Captain James Cook of the Royal British Navy made the first documented visit to Northern Vancouver Island when he landed in the Resolution in 1778. He was accompanied by the Discovery, captained by Charles Clerke. George Vancouver was a mid-shipman on this expedition. The Resolution and the Discovery roughly mapped the outer coast of BC from 44 degrees latitude to the Arctic. They anchored at Ship's Cove (now Resolution Cove) for about four weeks, and refit their ships at Nootka Sound, mapping the area. They met the local aboriginal people and traded various items with them in exchange for seal lion pelts. In his notes Cook stated that Nootka would be an excellent place to trade furs with the natives in the future. 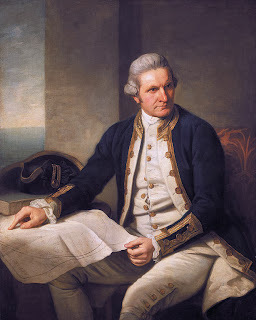 Cook did not live to return to the area though, as he was killed February 14, 1779 during an encounter with natives in the Sandwich Islands (Hawaii).